Here is evidence of an epic meltdown by an ignorant black racist Democrat Leftist, this one an Alabama state rep. 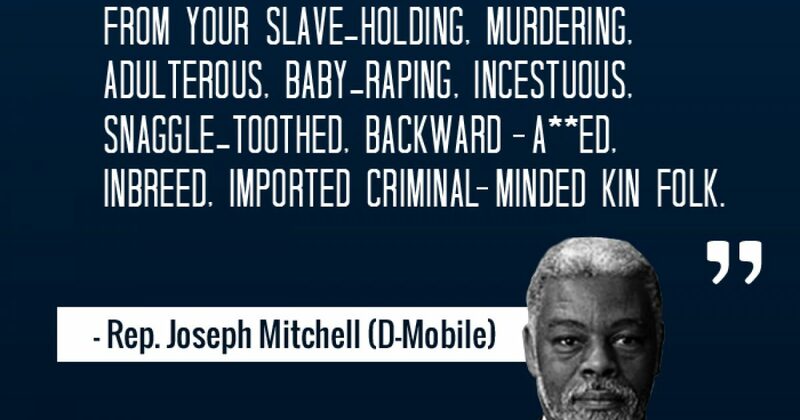 This fool is ranting about what HIS party–the DemonCrats–did to black people. Black Liberals who are ignorant of their ignorance bothers me. It’s not like they have to search hard for the evidence of their stupidity. I can’t wait to start waking these fools up to the FACT that they have been on the wrong side of the racism issue their whole miserable lives. The truly sad thing is rants like this will get him PROMOTED within the DemocRAT Party.